Andy Mukherjee’s view on ‘Clipping the Indian central bank’s wings’ was thought-provoking. But, there is another perspective, equally provocative, in need of articulation. The Reserve Bank of India’s dominant and repressive influence over banks, non-banks and capital markets has stunted the growth of Indian finance since the country attained independence in 1947. In those years, the RBI has developed a self-deluding, counterproductive organisational culture. It believes it is the sole guardian of probity in India, given the naturally profligate, incontinent monetary and fiscal tendencies of Indian parliamentarians and financial bureaucrats. But on deeper analysis, the RBI’s approach to regulating and supervising both banks and the government bond market seems bizarre. It does not regulate in an impartial, unbiased fashion. Its approach is to keep repressing the operating scope of foreign banks in order to protect, first and foremost, India’s appalling state-owned banks which dominate the banking system, followed by private domestic banks, which are now up to 74 percent owned by foreign institutional investors. This is hardly sensible. The RBI’s culture seems based on the belief that, since it is intrinsically pure, there can never be a conflict of interest in anything it does. The central bank was the owner of State Bank of India until the mid-1990s. Yet it saw no contradiction in owning the largest public bank while regulating and supervising it at the same time. That also applied to NABARD – an agricultural credit institution that also happened to be an anachronistic disaster. Even now, the Indian central bank’s regulatory model remains inherently weak. The RBI quarantines 27 percent of bank deposits and other liabilities in government securities through statutory lending and cash reserve ratios. Both are primitive instruments. Further, it directs another 40 percent of banks’ assets by a fiat-based system of “priority sector lending.” But it has no idea of what the lending priorities should be. Thus the RBI directs 67 percent of banks’ total assets while supposedly supervising the system by micromanaging the lenders. This has resulted in a bad loan mess that is proving near-impossible to clean up. Contrary to Mukherjee’s view, the RBI should not continue to regulate trading in government bonds and bills. In these “markets” the RBI is – on behalf of the Indian government – the issuer, principal buyer, and price-setter. So, it regulates itself. Is that good? The RBI will, of course, remain the largest operator in the markets for government bonds and bills. For that reason, it must not regulate them. That is the job of the Securities and Exchange Board of India. Of course SEBI must build up the capacity to regulate these markets. But, to emphasise SEBI’s weakness in this area is to miss the point. The RBI does not have that capacity either. It does not regulate itself very well. Its order-matching system for government securities can be moved over to the SEBI-supervised National Stock Exchange in its entirety. The RBI’s regulation of the government securities market has other damaging effects. The central bank’s eminent domain over government bonds and bills prevents SEBI from doing the job it should to foster the development of markets for corporate bonds and bills. Equally, it is essential to subject the RBI’s decisions to appellate and judicial review. So far it has got away with extreme arbitrariness and authoritarianism in its decision-making. The threat of being subject to external review might make it a tad more responsible. The RBI has a long way to go before it becomes the regulator it should be. Getting carried away with the personality cult of its governor does not help. Remember Alan Greenspan? The RBI’s wings do need clipping urgently to bring it in line with good central banks around the world. 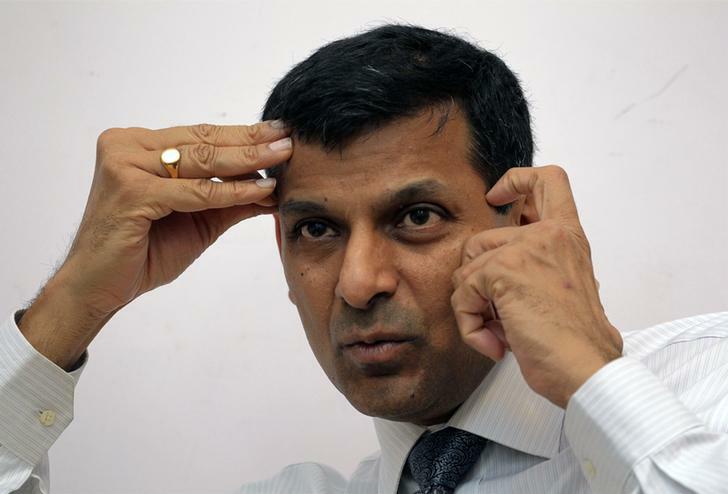 Raghuram Rajan held that view when he was an independent academic. Now, he appears to have been captured by the RBI’s bureaucracy. He is fighting all attempts to shrink the RBI’s role because of pushback from his officers and employees’ unions. They do not want to cede an inch of the RBI’s omnipotence. In summary, the RBI needs its wing-span narrowed. That will be good for the RBI, the Indian financial system as well as the country’s wider economic interests. Percy S. Mistry is chairman of Oxford International Associates (UK) Ltd. and was a former executive at the World Bank. He authored a 2007 report on making Mumbai an International Financial Centre.